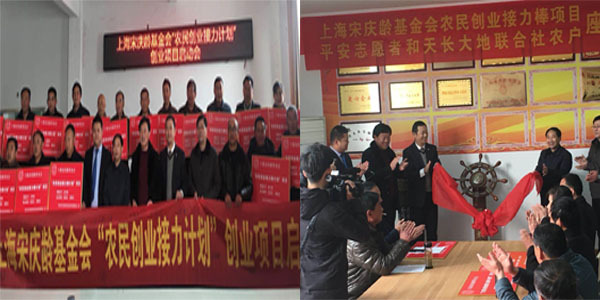 The 28th SSCLF’s Farmer Entrepreneurship Relay Baton Project was launched successfully on the morning of December 28, 2017. 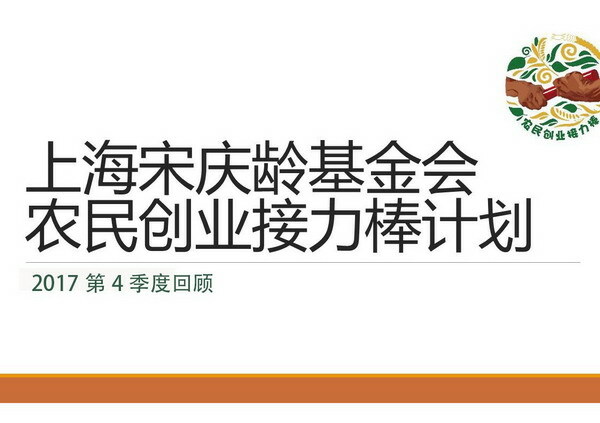 Recommended by Provincial Agriculture Committee, investigated by Ping An Insurance Company volunteers Li Wei, Zhang Zhihao and Wang Wei, project director Xuan Youlin will use the relay baton fund to lead 20 project households to grow green glutinous rice and wheat in order to increase income. 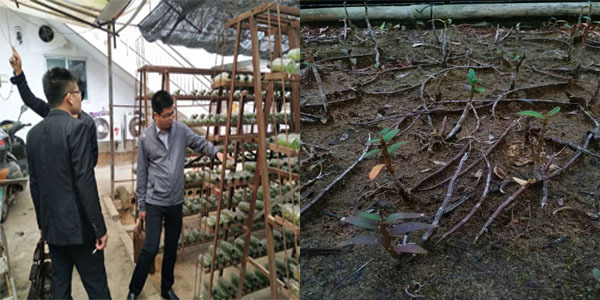 The left photo above: Volunteer Lin Yuanping investigate the dendrobium base. Dendrobium candidum grew well, same as in the wild environment. All the strains and leaves turn red. After 3 years of efforts, the first phase of Relay Baton project has been successfully completed with guava harvest and improvement of farmers’ lives. 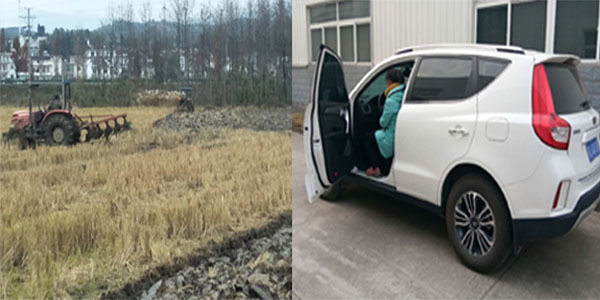 The project household Ou Guangjun bought a car and Xuan Xianen built a new house. The first phase of Relay Baton project fund has been repaid on time and the preparatory work has been begun for the second phase of the relay baton project. With the successful completion of the first phase of the relay baton - silkworm rearing project, the farmers raised the young silkworm together, and the success rate reached 95%. The project households increase income, repay the fund on time and pass the relay baton to the second phase of dragon fruit project households. Dragon Fruit bear fruits in October, the yield per mu is 600 kg, and the wholesale price is 9--12 yuan/kg. The right photo above: the silkworm harvest scene. The project households successfully completed the first phase of the relay baton project in November, 2017. The second phase of project supplementary agreement was signed. The 20 new project households has taken the relay baton and began planting Pearl plum trees. 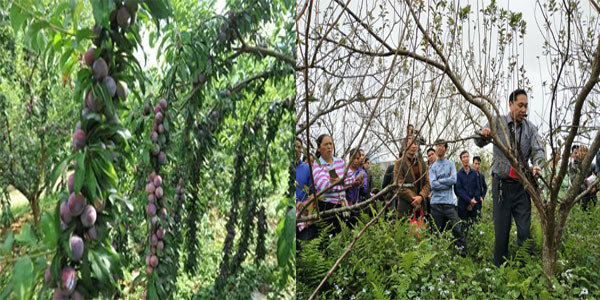 The left photo above: Pearl plum growing scene; The right photo above: The cooperatives hired a senior agronomist of County Agricultural Bureau to give practice training on pruning pearl plums for the project households. After 3 years of hard work, the first phase of the relay baton project has been successfully completed. Twenty households have transformed the woodland, raised the quality of the forest, increased the production of bamboo shoots and improved their income substantially and repaid all the funds on time. More local farmers are attracted by the relay baton projects, and volunteers will examine new farmers of the second phase of the relay baton project. The first phase of the relay baton project has been successfully completed and the preparatory work for the second phase of the project has started. It is another watermelon harvest year. The left photo above is the watermelon loading scene. 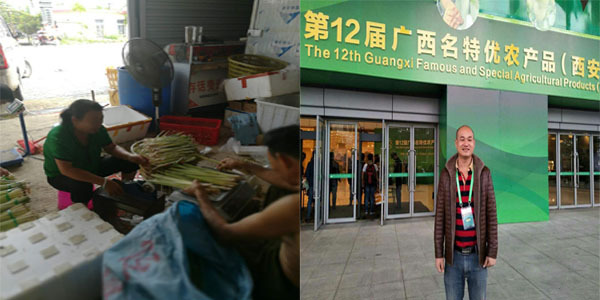 The right photo above: Project household Chen Jinlian’s income has increased for three consecutive years, and moved into a new house, and his son has been admitted to a key high school this year. 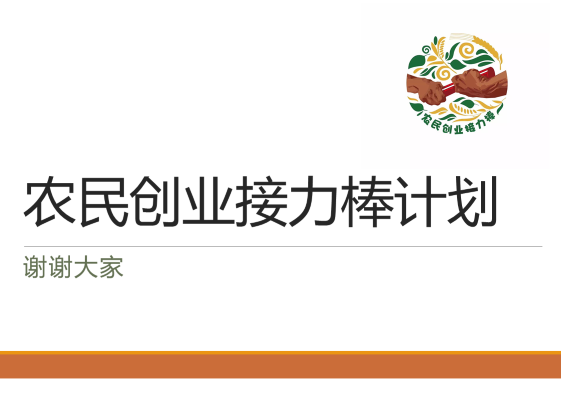 Jintang, Sichuan province is the first implementation site of SSCLF’s Farmer Entrepreneurship Relay Baton Project. Its second phase of the relay baton project has been successfully completed. The fourth phase of the project agreement was signed with the Shanghai Soong Ching Ling Foundation in November, 2017. The left photo above: The grant issuing scene. 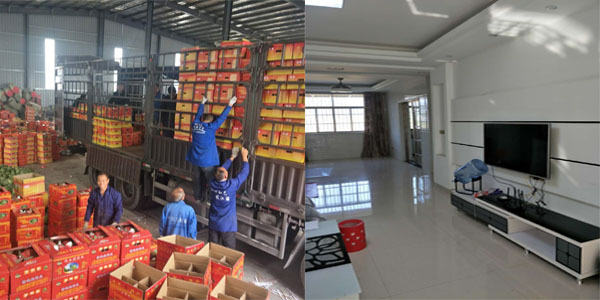 The right photo above: The cooperative issues venture funds to the households of the fourth phase of the relay baton project..
Two Children of the project households were admitted to Guizhou E-Commerce Vocational College and Guiyang Nursing Vocational College. The cooperatives organize technical training for farmers on the harvesting and management of uncaria rhynchophylla. 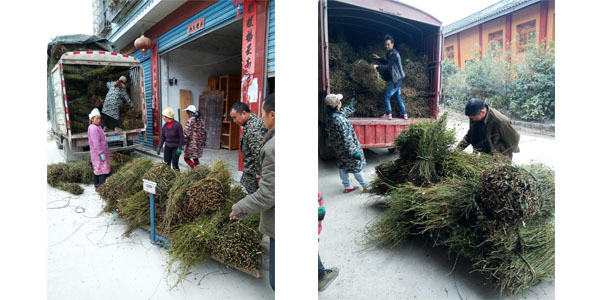 The photo above: Wu Pijin and Wu Bingqing transport the uncaria rhynchophylla to the cooperative for sale. The rice has been harvested in October and the cooperatives were busy selling rice. The project household Ge Maobing bought a Changhe minivan with rice-sale money. The left photo above: The project household Li Chuanzhu built 2 bungalows. The hawthorn harvests this year. The cooperatives plans to cooperate in depth with Zhejiang e-Agriculture to sell the hawthorn products. 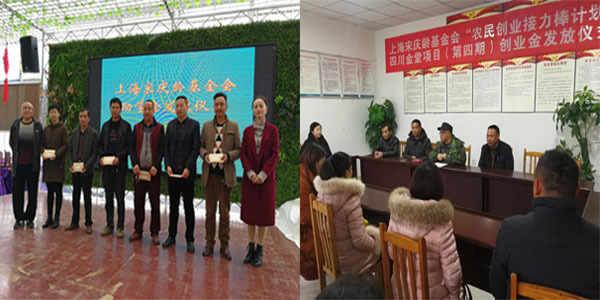 Project households Ma Lingi’s grandson Ma Chunxiao and Li Danrong’s son Wang Hao were respectively admitted to the Weifang Medical College and Qilu University of Technology and they enjoyed the relay baton scholarship. Project household Han Zude bought a new farm machinery this year. As conditions improved with income stability, Han Longsheng and his wife have begun to prepare to have their second child. 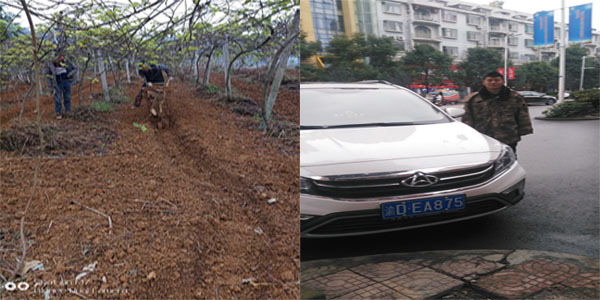 The right photo above: A new car bought by farmer Pan Chunying. 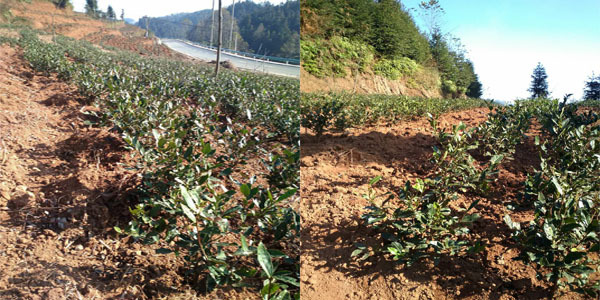 The green tea sprout survival rate this year reached more than 90%. 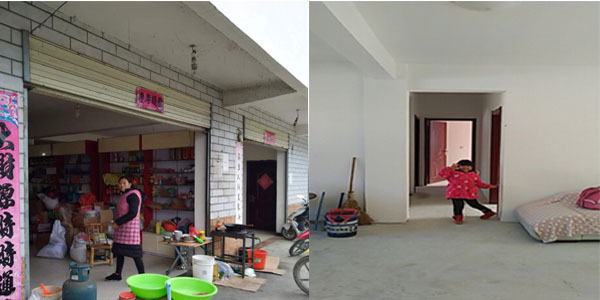 The left photo above: The agricultural Products department store opened by the project household Wang Yeqi who returned home and started a business and earned money. The right photo above: The project household Wang Xuezhong’s twin granddaughters live in the new house. 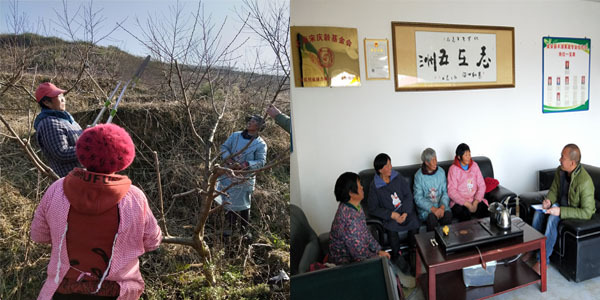 Since he joins the relay baton project, farmer Wang Qianghai has often participated in the technical training on the organic tea, and obtained tea seedlings, organic fertilizer and the tea tree pruning machine, his tea income this year has increased 30% higher than last year. The right photo above: His newly built house. 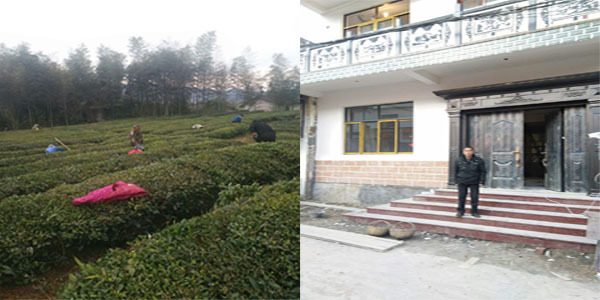 The left photo above: the working scene of farmers in their tea garden. The tea is growing well and the farmers are weeding in the tea garden after the autumn harvest. Intercrop other crops in the tea garden on the basis of not affecting the growth of the tea. The cooperation organizes the project household to learn from the tea farmers whose tea growing is excellent and their cultivation experience is rich. The mushroom single rod production reached more than 0.9 kg. 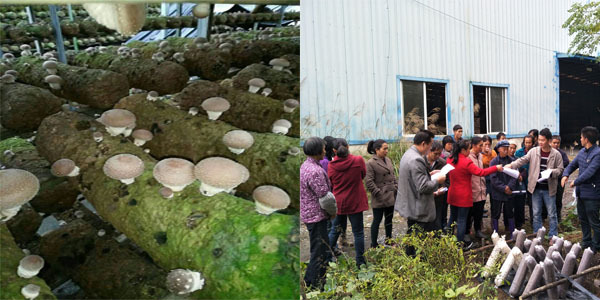 The cooperatives are busy to carry out the purchase and sales of mushrooms. 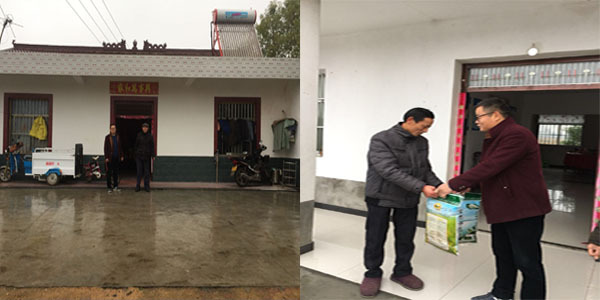 The project households Qin Shunian, Qin Heman, Han, Zhou Zhifei participated in the relay baton project for two years, they built their new house with their increased income. 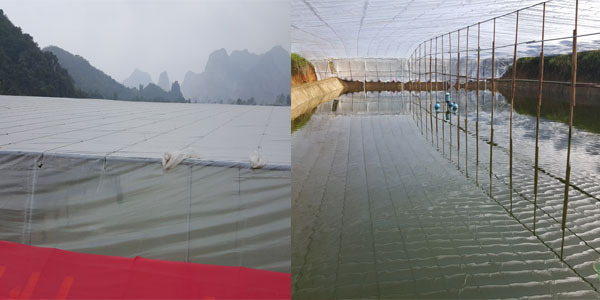 The left photo above: The 5th production of the mushroom. The right photo above: Technical training. Three households selected from 20 households will go to visit the standard demonstration bases in Tongren region. Farmers were weeding in the orchards, trimming fruit trees in winter and turning the soil in the fruit garden. The cooperatives purchase and sell citronella, and carry out the packaging of electrical business products training for the farmers to increase income, expand the work site area to 1000 square meters. 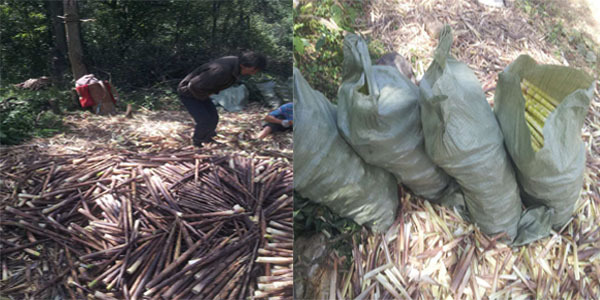 The left photo above: The project household Pan Qiuling sorting and packaging the citronella stalks from citronella straw. 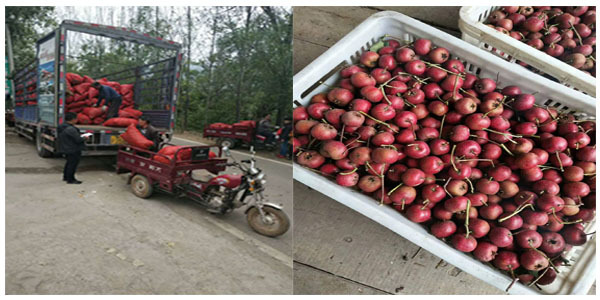 The right photo above: The cooperatives went to Xi’an to participate in the 12th session of Guangxi famous and excellent agricultural products exhibition. The cooperative carried out the training on fish-farming techniques for the project households. The left photo above: Over-winter shed. The right photo above: Over-winter pond. Under the guidance of the cooperatives, the project household Li Ping’s income improved significantly, and built a new house. The cooperative organize farmers to carry out fertilization, weeding, pruning, bundling and pest control. The left photo above: The management of red Kiwi in winter, ditching and fertilizing. 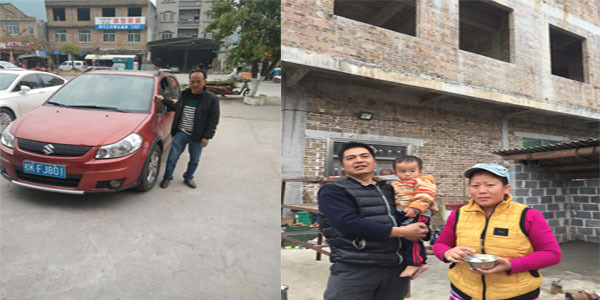 The right photo above: The new car bought by the project household Zhang Yi. The project household Yang Chunju also bought a suit of new rooms. 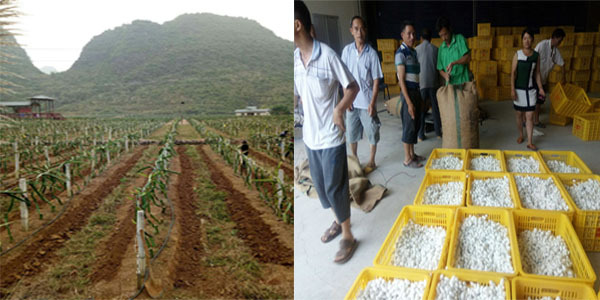 The cooperatives sold 800 groups of Chinese seed bees for the farmers, to realize of the total income of 960,000 yuan. 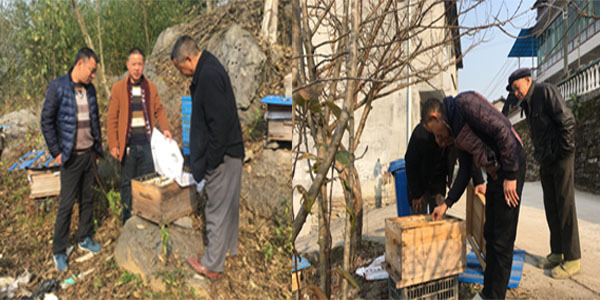 The photo above: Project director Bai Tianshu had on-site discussion with project households Liu Bin, Tian Qunhua, Cheng Meng on bee overwintering management and wintering breeding.